It’s seems like everyone is becoming a fitness expert on social media these days. Even celebrities are dishing out their health and fitness advice. Or is it when you learn something new, you simply just want to share it with others? Khloe def got it right with one! Even though a lemon is actually acidic, when it is in water it becomes alkaline and is great for the body and will balance your pH. This in turn, will help with weight loss and many other health benefits. 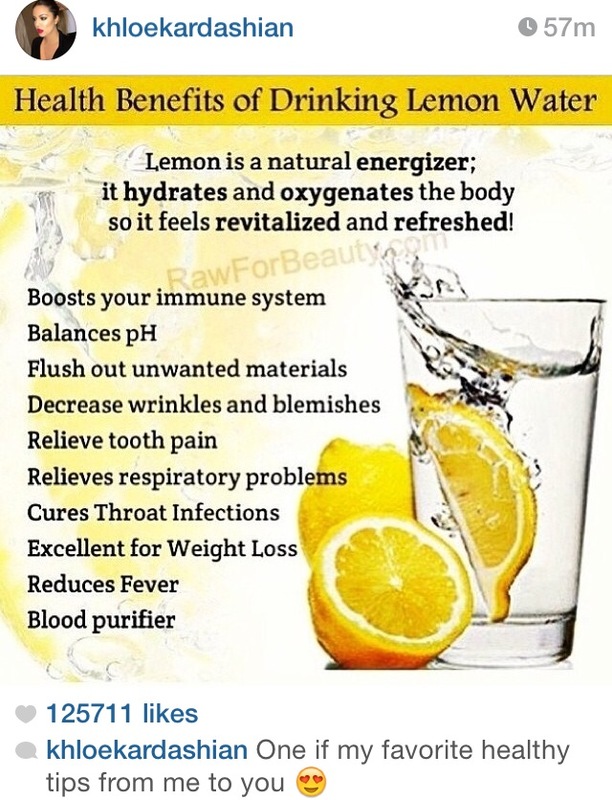 So grab those lemons and make them into lemon water to cleanse your system.